It has the characteristics of large circulation capacity, high adjusting precision, large adjustable ratio, good sealing and light weight. It is suitable for most occasions except small caliber, corner type and three way connection. It's the best product to replace imported products, especially for mud and fiber medium, as well as medium containing small solid suspension. It is widely used in the automation system of paper making, sugar making, petroleum, chemical, metallurgy, air conditioning, fire protection and water supply and drainage. Applicable medium	 Water, steam, gas, dust, oil, nitric acid, acetic acid, alkali, etc. 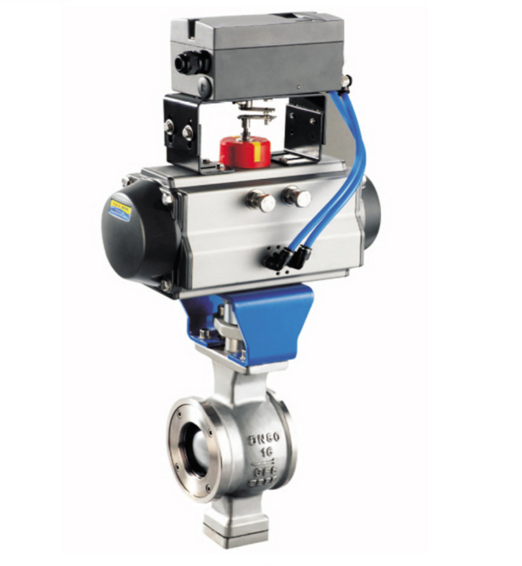 Looking for ideal Hot-selling Adjustable Valve Manufacturer & supplier ? We have a wide selection at great prices to help you get creative. All the Pneumatic Adjustable Valve are quality guaranteed. We are China Origin Factory of Flange Type Pneumatic Adjustable Valve. If you have any question, please feel free to contact us.